The inchworm exercise is intended to work out multiple joints and increase both endurance and strength throughout the entire body. It was also inspired by a kind of caterpillar, the “inchworm” caterpillars that are the larval forms of moths in the Geometridae family. The way the inchworm caterpillars move inspired their name, as they look like the move forward an inch at a time. Let’s take a closer look at the inchworm caterpillar, its form of locomotion and its lifecycle. The inchworm is just the larval phase of many different species of North American moths that are part of the Geometridae family. The moths go through four different phases throughout their life: the egg phase, the larval phase, the pupae phase, and the adult phase. The caterpillars of the Geometridae moths are called inchworms because of their method of locomotion. Unlike the caterpillars of other Lepidoptera, inchworm (Geometridae) caterpillars only have two or three pairs of prolegs at their posterior end. Most of the lepidopteran caterpillars have five pairs of prolegs. Because they have fewer prolegs, they have a method of movement which must compensate for this deficiency. Inchworm caterpillars have an appendage at both ends of their body, and they move by latching onto a point with their front legs and then dragging their rear end up to meet it. The caterpillar then anchors itself with its rear prolegs and then stretches out their front end to grasp a new point ahead of them. This method of movement makes them seem to move an inch a time, measuring the distance that it moves, hence their name. This style of movement is what inspired the inchworm workout. There are thought to be over 1400 species of Geometridae moths in North America, with many more around the world. The total number of different species in the Geometridae family could be as large as 23,000. The female Geometridae moths typically lay their eggs in the summer to early fall. They prefer to lay eggs in the cracks and crevices of tree bark, under leaves and on branches. Different species may lay eggs in bunches or one at a time. The eggs will then lie in wait until they hatch late in the fall or in the spring as the weather warms. When the eggs hatch and the larval phase of the Geometridae moth emerges, the caterpillar must begin eating immediately. The caterpillar must consume a large amount of food, doing little else during this time period, as it will need plenty of energy to sustain it during its metamorphosis. 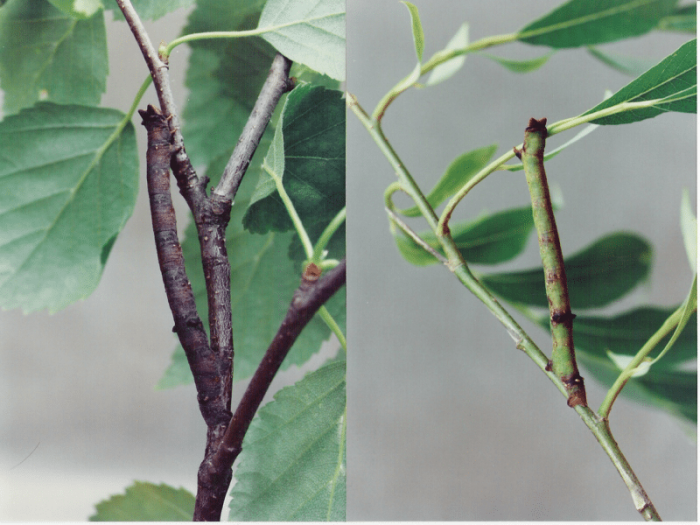 Caterpillars subsist on the leaves of plants, lichen, or flowers. After two to four weeks of eating it will prepare to transition into a moth. The inchworms of most Geometridae species are around 25 millimeters, or one-inch long, appropriately enough. They are usually gray, brown or green in coloration, resembling plant material, which helps camouflage them from predators. Because inchworms are so prolific and need to eat so much food, they’re often considered pests by gardeners and farmers. They have also developed resistances to many insecticides and therefore other methods of control like infectious fungi or other predatory insects are often used to reduce the damage that hordes of inchworms do to crops and trees. Despite this, moths play an important role in our ecosystem. The caterpillars prepare for metamorphosis in late June to early July. 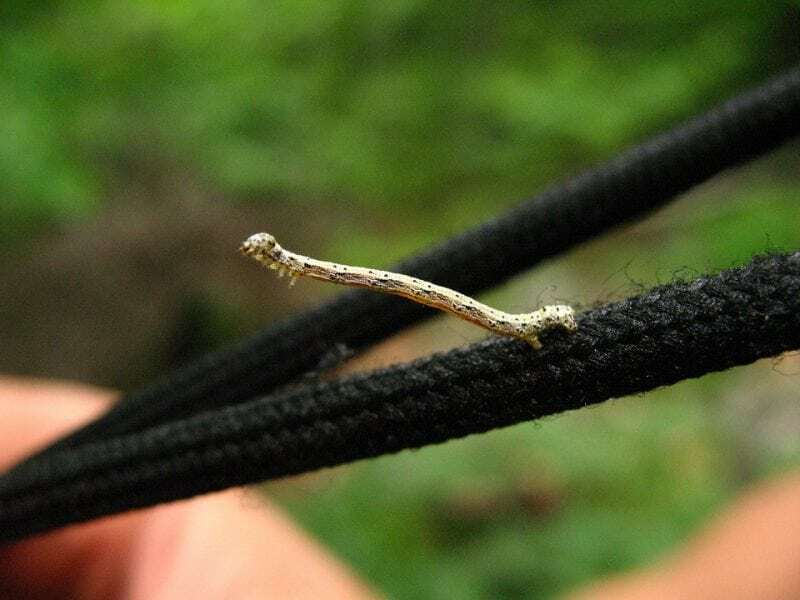 Many inchworms descend from the trees, using threads of silk to lower themselves down to the ground. The caterpillars will then burrow themselves into piles of leaves or into the dirt. The caterpillars then create protective cocoons around themselves, spun out of silk. They are now called pupae and they’ll remain underground for varying lengths of time depending on the species. The pupae may stay underground for only a few weeks or for entire months. If a species of Geometridae has its larvae emerge during the early spring it will leave its cocoon as an adult before the onset of winter, yet if it emerged in late spring or summer it will probably remain in the cocoon through the winter until the following spring. As noted above the adult moths will emerge during either late fall or early spring. 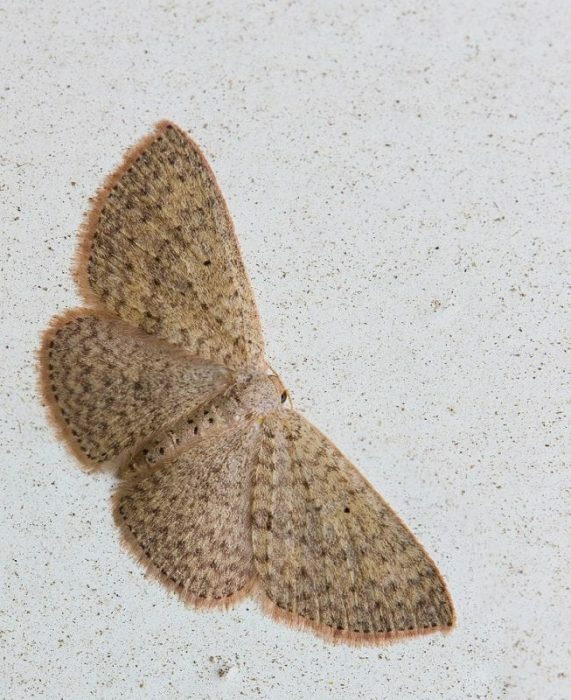 Most moths of the Geometridae family are gray or brown in coloration and are typically about 12.7 millimeters (half an inch) to 25 mm (one inch) long. Only the males of the various species fly, the female Geometridae moths can’t fly as their wings are vestigial and too small for practical use. The males will wait on the bark of trees for the female moths to arrive, mating upon finding each other. You may be confused about the relationships between caterpillars and moths/butterflies. Perhaps you thought caterpillars turn into butterflies. Moths and butterflies are very similar, though they have some distinct differences, and they both have caterpillars as their larval form. Moths make up much more of the Lepidoptera order than butterflies do. Butterflies make up only about 6 to 11% of the order overall, and moths make up somewhere between 89% to 94% of the order. Butterflies and moths look a little different. The antennae of butterflies are usually much smaller and club-shaped, with rounded ends. By contrast, the antennae of moths have a feathered or comb-like appearance. Butterflies usually have much brighter coloration than moths, and while resting butterflies usually have their wings outstretched while moths will have their wings folded against their body, looking somewhat like a jet plane. Moths are typically stouter and have a fuzzy appearance while butterflies are often smooth and thin. Butterflies are active during the day while moths are active at night. Though there are some kinds of moths that are diurnal (active during the day) or crepuscular (active at dawn and dusk). Those are the primary differences between butterflies and moths. Hopefully, you now know a little more about the inchworm caterpillar that inspired the exercise.